The Boys in Green have landed in Poland to take part in the UEFA EURO 2012 games, this is very exciting time as Ireland haven’t quantified for the Euro’s since 1988, 24 years ago. Everyone in Ireland will be glued to the match this Sunday the 10th June when Ireland take on Croatia in the first of Ireland’s matches. Join us here at The Red Cow Complex for all the action during the Euro 2012 games. 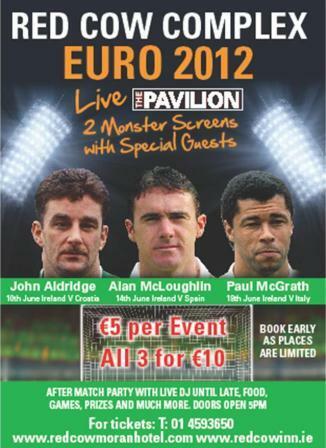 Some of Ireland’s favourite football heroes of Italia 90 such as; Paul McGrath, John Aldridge and Alan McLoughlin will be in The Pavilion at the Red Cow complex to let us know what they think about Ireland’s performance during the first three Euro matches. Before each game, each sporting hero will talk about their experiences leading up to big games like this one and will give their opinions on how they think Ireland will perform. They will give half time commentary along with post match analysis. Spectators can enjoy a Q&A session afterwards, make sure to think of a really good question! FREE ENTRY IN TO HUSH NITE CLUB ON THE NIGHT OF EACH MATCH WITH EURO TICKET! To celebrate this great occasion we have a great giveaway! 4 Groups of Tickets To Be Won! There will be 4 winners and each group will win 4 tickets to watch any one of the 3 games of your choice here at The Pavilion. What year did Ireland last take part in the Euro’s? As always you must be a fan of Red Cow Moran Hotel on Facebook to enter – like us NOW! Entries must be in by next Thursday the 7th of June to be in with a chance of winning!! The Saint Vincent DePaul Society, long established as a friend to the poor, now finds itself stretched to the limit. So in an effort to assist The Saint Vincent DePaul Society to reconnect the electricity supply to the homes of less fortunate Corkonians, “Turn On The Light” the brainchild of Cork promoter Noel Magnier was created! 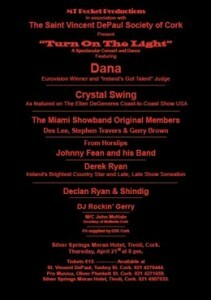 Performing on the night will be Dana, our very first Eurovision Song Contest winner and popular judge on RTE’s “Ireland’s Got Talent” and fresh from their enormous success on The Ellen DeGeneres coast-to-coast show, Crystal Swing will be performing also. Other acts also set to perform are the Miami Showband original members – Des Lee, Stephen Travers and Gerry Brown, Celtic rock superstar Johnny Fean from the Horslips, Ireland’s hottest new country singer Derek Ryan formerly of boy band Dside and Cork’s very own Declan Ryan and Shindig. Starting at 8pm, your MC for the night will be John McHale and DJ Rockin’ Gerry will keep the music going – it really will be a night not to be missed, so make sure you get your ticket to the hottest event in town happening at the Silver Spring Hotel in Cork. 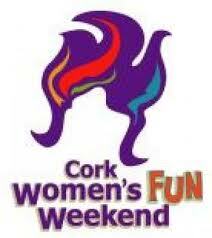 The Silver Springs Moran Hotel in Cork is the venue for Cork Women’s Fun Weekend Party on Saturday 30th April 2011. Set to be a night of constant fun, including games, awards and spot prizes, the party at The Silver Springs Hotel begins with The Lounge Lizards, followed by Karen Underwood and the Booty Band and finishes with DJ Proud Mary, a resident DJ in Cork. Event organisers have arranged a special bus from Loafer’s Pub to the party at The Silver Springs Hotel in Cork, tickets for the bus can be purchased on the night in Loafer’s and the bus is leaving Loafer’s promptly at 8:30pm. Doors for the party at The Silver Springs Hotel in Cork open at 8:30pm till 2am and admission is €12 unwaged, €15 waged. Drinks promotions on the night are available, with a bucket of corona costing €20 (buckets include 5 bottles) and all Heineken products (bottles & draught) priced at €4.00 (this includes Coors Light, Murphys & Beamish). 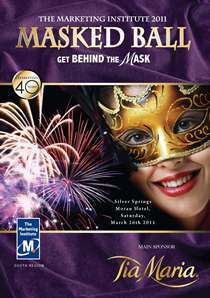 The Marketing Institutes South Region 2011 Masked Ball will take place on Saturday 26th March at Silver Springs Moran Hotel in Cork. The black-tie event sponsored by Tia Maria and themed “Get Behind the Mask” will commence at the Silver Springs Moran Hotel in Cork at 7pm with a drinks reception and music from The Cuban All Stars. More entertainment will take place throughout the night and after dinner the fabulous The Swing Cats will play followed by a late night DJ. An event with a reputation for glitz and glamour and famed for its gifts and prizes, each couple will receive a beautiful Irish gift, kindly provided by Kilkenny Group and valued at €75, a goody bag valued at €200 and have the chance to win a fabulous Michel Jeweller’s diamond necklace, valued at €2,000 in the fun quiz. The charity raffle at this year’s event will be in aid of Cork Swimming Club for the Special Olympics Munster and Irish Guide Dogs – Assistance Dogs for Children with Autism, and there are over 100 prizes to be won. Whatever the occasion, Silver Springs Hotel in Cork is the perfect choice for any event. Neven Maguire – Award winning Chef & Restaurateur will be in Red Cow Moran Hotel in Dublin on the 23rd of March for one evening only. 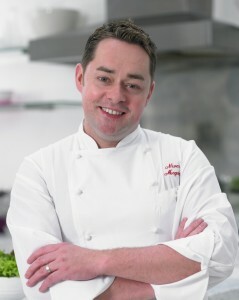 Neven will be showing us how to recreate a range of wonderful recipes focusing on Irish produced ingredients. Showing everyday cooks how to achieve kitchen success with his indispensable culinary guide. This wonderful event is in association with the Irish Independent and the Dublin Simon Community, so if you fancy brushing up on your gourmet skills – all for a good cause – book your ticket now. Doors open 7.30pm for an 8pm start. Check out www.moranhotels.com for Dinner B&B packages for the night. The GRAND FINAL of Cork’s Talent Search takes place Friday 11th March at Silver Springs Moran Hotel in Cork. Administration is €15.00 and tickets are on sale NOW from The Silver Spring Moran Hotel Cork, contact 1-800-230-4134. The event is over 18s only and seating will be limited. Doors open at Silver Springs Moran Hotel at 8pm and the south-west’s biggest talent show FINAL starts at 9pm. It’s only one month until Santa comes down our chimney’s and we can’t wait! We have a great line up at Silver Springs Moran Hotel, one of Cork’s best Cristmas Party Venue! This Christmas Party Season, Silver Springs Moran Hotel has an amazing line up of acts. Party nights kick off on the 10th of December and run right through to the New Year. Each night will start with a welcoming mulled wine reception follwed by 5 course meal with master of ceremonies. One of the above acts will take to the stage after the gorgeous meal. Don’t worry the night won’t end then! There will be a DJ until late with a bar extension to suit. There will be spot prizes throughout the night and the party room will be decked with Chistmas spirit and cheer! If the full entertainment type party is not for you, then the Watermarq Restaurant in Silver Springs Moran Hotel can host private lunches and dinners for your group. If you would prefer some something less formal, why not reserve an area in the Bar and enjoy some tasty finger food. 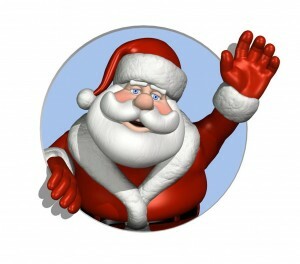 Silver Springs Moran Hotel has the ultimate Christmas packages for all to enjoy. Shop & Stay: From €59.50pps You will get Bed and Breakfast AND €20 voucher for Mahon Point Shopping Centre! Show & Stay: From €95pps If you are attending a Chistmas Party Night at Silver Springs Moran Hotel enjoy your ticket to dinner and the show along with accommodation. Christmas Gift: Stay 3 Nights and only Pay for 2! If you need a short break then this package is excellent value! Cork is one of the best cities to enjoy New Years Eve. At Silver Springs Moran Hotel there is an excellent line up. The Watermarq Restaurant will host a New Years Eve Party. For only €65pp you will get a warming mulled wine reception to warm you up for the great night ahead. A 5 course gourmet meal will be served following the arrival reception. At midnight, we will provide every guest with a glass of bubbly to raise a toast to the New Year, There will be live entertainment with The Gruve and DJ till late. What more could you ask for on New Years Eve! Don’t let the post Christmas blues get you down 🙁 Come and see the hilarious June Rodgers Show from the 6th-8th of January. Celebrate Little Women’s Christmas with the queen of comedy June Rodgers. 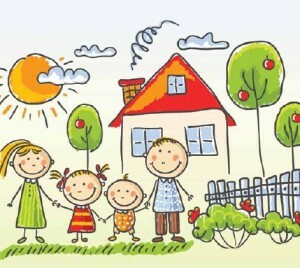 Stay tuned to all events and special offers on Face Book! Christmas Party Nights: Red Cow Inn have a selection of Christmas Party Nights with Live entertainment including: Tina Turner & Take That Tribute, Flanagans Show Bar Lanzarote and Diarmuid O’ Leary and The Bards to name but a few. 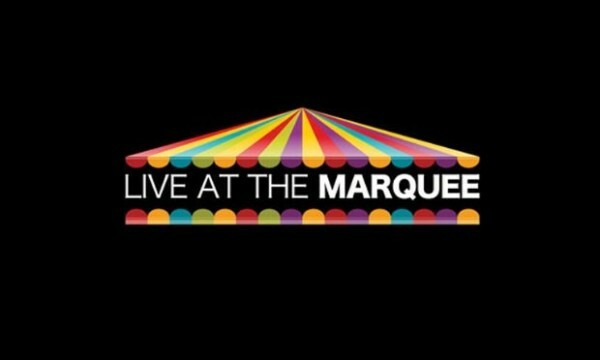 Dinner and Show Tickets from €55pp. Click here for more information. Christmas Comedy Show: The queen of Christmas, June Rodgers, takes to the stage at the Red Cow Moran Hotel for various dates this Christmas. This hilarious show promises to be the best this year with a host of new acts along with the old favorites. Dinner and Show Tickets from €55pp. Click here for more information. Christmas For All The Family: Throughout the Christmas season the Red Cow Complex has a wide range of entertainment children and for all of the family. Santa arrives on the 27th of November at the North Pole Experience at Red Cow Complex. Also featuring; Xmas Factor and Glee & Jeward Tribute. Click Here for more information. North Pole Experience: Family of Four- B&B & family Pass to visit Santa at the North Pole Experience. December Deal: If you are in Dublin to go shopping or soak up some Christmas cheer- Red Cow Moran Hotel has room rates from €79. Red Cow Moran Hotel is on the Red Luas Line so you can get to the city centre conveniently. Post Christmas Shows: After Christmas Day and after the turkey has settled we have a great line up of entertainment including the Wolfe Tones, Bagatelle, Dave Young and County Dancing Nights every Thursday. The June Rodgers Christmas Show will also still be running post Christmas. Bagatelle and Dave Young Shows are Buy one show only ticket, get the second FREE– Call the box office to get this discount. New Years Eve: June Rodgers headlines the New Years Eve stage at Red Cow Moran Hotel while Revival rock Red Cow Inn. Hush Nite Club will count down the New Year and its €10 for those who arrive before 10pm! There are accommodation packages in the Red Cow Moran Hotel and Winter Garden Restaurant will have a New Years Eve menu fit for a king and queen. Hush Nite Club: There are various theme nights & promotions taking place in Hush Nite Club over the Festive Season. Stay tuned to their Facebook page for all up to date events. Tune in to Facebook for all event updates and special offers.